・Toyoda H, Tanaka K. Intestinal Anisakiasis Treated Successfully with Prednisolone and Olopatadine Hydrochloride. Case Reports in Gastroenterology 10:　30-35,　2016. ・Toyoda H, Rubio C, Befrits R, Hamamoto N, Adachi Y, Jaramillo E. Detection of intestinal metaplasia in distal esophagus and esophagogastric junction by enhanced-magnification endoscopy. Gastrointest Endosc. 2004;59(1):15-21. ・豊田英樹、田中匡介、斉藤知規ら. 切開・剥離法（ESD）に必要な胃癌術前診断-新しい診断法：酢酸散布. 胃と腸; 40巻: 801-808, 2005. ・豊田英樹，田中匡介，Edgar Jaramillo，竹井謙之.酢酸法を用いた内視鏡観察. Gastroenterological Endoscopy; 49巻: 1706, 2007. ・豊田英樹,足立幸彦,田中匡介,門脇重憲,松崎晋平,井本一郎,Carlos Rubio ,Edgar Jaramillo. 1.5%酢酸を用いた拡大内視鏡による下部食道・胃食道接合部観察の有用性の検討. セラピューティック・リサーチ, 26(4) : 692-696, 2005. 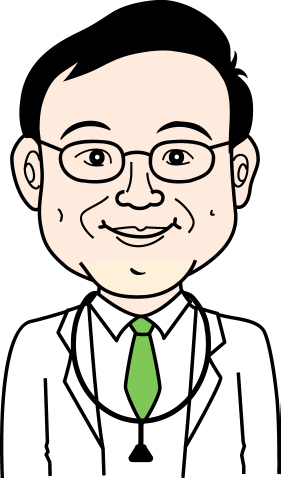 ・ Saito T, Toyoda H, Yamaguchi M, Nakamura T, Nakamura S, Mukai K, Fuke H, Wakita Y, Iwata M, Adachi Y, Shiku H.　Ileocolonic lymphomas: a series of 16 cases. Endoscopy. 2005 May;37(5):466-9. ・Toyoda H, Jaramillo E, Mukai K, Saito T, Imai N, Naota H, Sase T, Mizuno T, Shiku H, Imoto I, Adachi Y.Treatment of radiation-induced hemorrhagic duodenitis with argon plasma coagulation. Endoscopy. 2004 Feb;36(2):192. ・Toyoda H, Nomoto Y, Ii N, Suzuki H, Mukai K, Yamaguchi M, Miyashita H, Toyoda M, Shiku H.　Endosonographic images of low-grade lymphoma of mucosa-associated lymphoid tissue after radiotherapy. J Clin Gastroenterol. 2001 Sep;33(3):237-40. ・Toyoda H, Yamaguchi M, Nakamura S, Nakamura T, Kimura M, Suzuki H, Mukai K, Sawa H, Kawamura K, Shiku H.Regression of primary lymphoma of the ampulla of Vater after eradication of Helicobacter pylori. Gastrointest Endosc. 2001 Jul;54(1):92-6. ・Toyoda H, Yamaguchi M, Uemura Y, Mukai K, Sawa H, Suzuki H, Shiku H.Successful treatment of lymphoid follicular proctitis with sulfasalazine suppositories. Am J Gastroenterol. 2000 Sep;95(9):2403-4. ・Toyoda H, Kobayashi N, Mukai K, Sawa H, Suzuki H, Toyoda M, Shiku H.Endoscopic resection of coexisting superficial carcinoma and a retention cyst. Endoscopy. 2000 Jul;32(7):S41. ・Toyoda H, Ono T, Kiyose M, Toyoda M, Yamaguchi M, Shiku H, Tonouchi H.Gastric mucosa-associated lymphoid tissue lymphoma with a focal high-grade component diagnosed by EUS and endoscopic mucosal resection for histologic evaluation. Gastrointest Endosc. 2000 Jun;51(6):752-5. ・Toyoda H, Nakamura T, Shinoda M, Suzuki T, Hatooka S, Kobayashi S, Ohashi K, Seto M, Shiku H, Nakamura S.Cyclin D1 expression is useful as a prognostic indicator for advanced esophageal carcinomas, but not for superficial tumors. Dig Dis Sci. 2000 May;45(5):864-9. ・Toyoda H, Nakai K, Omay SB, Shima H, Nagao M, Shiku H, Nishikawa M.Differential association of protein Ser/Thr phosphatase types 1 and 2A with the cytoskeleton upon platelet activation. Thromb Haemost. 1996 Dec;76(6):1053-62. ・Tanaka K, Toyoda H, Kadowaki S et al. Features of early gastric cancer and gastric adenoma by enhanced-magnification endoscopy. J Gastroenterol. 2006; 41: 332-338. ・Toyoda H, Tanaka K, Hamada Y et al. Magnification endoscopic view of an early gastric cancer using acetic acid and narrow-band imaging system. Digestive Endoscopy 18(s1):S41-S43: 2006. ・田中匡介, 豊田英樹, 井本一郎ら. NBI・酢酸併用拡大内視鏡観察が範囲診断に有用であった表在Barrett食道腺癌の1例. 胃と腸; 41巻: 1480-1483, 2006. ・田中匡介, 門脇重憲, 濱田康彦,小坂 良，井坂利史，直田浩明，今井奈緒子，山中光規朗，白石泰三，豊田英樹. Endoscopic Submucosal Dissectionにおける酢酸併用拡大内視鏡の有用性. Gastroenterological Endoscopy; 49巻: 12-20, 2007. ・濱田康彦，田中匡介，小坂　良，門脇重憲，井本一郎，豊田英樹.Hookナイフを用いた内視鏡的粘膜下層剥離術にて切除し得た直腸カルチノイドの２例. Gastroenterological Endoscopy; 49巻: 1273, 2007. ・Toyoda H, Nakase T, Tomeoku M, Morita K, Kato M, Murata T, Ono A, Kuwajima M, Kono N.　Improvement of hemolysis in muscle phosphofructokinase deficiency by restriction of exercise. Intern Med. 1996 Mar;35(3):222-6. ・Toyoda H, Tomeoku M, Fujioka H, Hamada M, Kanamaru M.　Herpes zoster associated encephalitis with rapid response to a combination therapy with acyclovir, prednisolone and human gamma-globulin. Nippon Ronen Igakkai Zasshi. 1991 Nov;28(6):837-8. ・Toyoda H, Tanaka H, Nakaya R, Kawanishi M, Ono T,Lumbago as a presentation of B-cell lymphoma invading psoas muscle. Rinsho Ketsueki. 1992 Sep;33(9):1285-6. ・Nishikawa M, Omay SB, Toyoda H, Tawara I, Shima H, Nagao M, Hemmings BA, Mumby MC, Deguchi K.,Expression of the catalytic and regulatory subunits of protein phosphatase type 2A may be differentially modulated during retinoic acid-induced granulocytic differentiation of HL-60 cells. Cancer Res. 1994 Sep 15;54(18):4879-84. ・Omay SB, Ogasawara H, Toyoda H, Nakai K, Shima H, Nagao M, Mumby MC, Shiku H, Nishikawa M., Translocation of protein phosphatase 1 catalytic subunits during 1,25-dihydroxyvitamin D3-induced monocytic differentiation of HL-60 cells. Cancer Res. 1995 Feb 15;55(4):774-80.